Club members can advertise vehicles free of charge for a month (this does not apply to trade ads). To qualify for a free listing you must have been a member for a minimum of 3 months. Subsequent listings cost £25 per month. All you need do is email me a maximum of 2 photos (in .jpg format), a 50 word description, plus contact details and price. We will do the rest. Please quote your membership number which you will find on your card. If you can’t find it, let us know your postcode. All photos in landscape please. Photos should be emailed as attachments and NOT embedded in other files or the email body. DO NOT USE THE CAPS LOCK BUTTON and do not use bullet points or fancy fonts or colours when submitting text as we have to type it again. Always include your location in the ad, this will stop time-wasters. Your ad will be placed on the site within 48 hours and removed after 1 calendar month. When it gets sold, please inform us. If you need to advertise for a second month, the cost is £25. See the “How to Pay” section below. There is also the option of taking out a “Premium” advert. This costs £75 for 1 month and allows you to have a maximum of 6 photos and 500 words of text, as long as it fits on no more than 5 x A4 pages. You can see an example of a Premium Ad here. A few words of warning: Advertisers are warned NOT to accept Bankers Drafts as a method of payment. There have been too many scams recently. If you receive an email telling you that a “client” will be turning up to pay by cheque, then just ignore it; here’s an example. If you get approached by “finder” services then don’t respond as you will never see your £50 again. 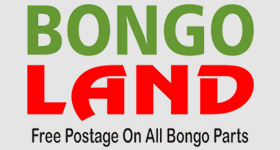 Also, if you are selling your Bongo privately you may get approached by dealers wanting to buy your van. There’s no law against it, but some people find it annoying. So if you don’t want this to happen stipulate “no canvassers” in your wording. Members can find full guidance on selling your Bongo in this fact sheet. Non-members are welcome to advertise here and the cost is £25 per month. All you need do is email me a maximum of 2 photos (in .jpg format), a 50 word description, plus contact details and price. We will do the rest. All photos in landscape please. Photos should be emailed as attachments and NOT embedded in other files or the email body. DO NOT USE THE CAPS LOCK BUTTON and do not use bullet points or fancy fonts or colours when submitting text as we have to type it again. Always include your location in the ad, this will stop time-wasters. Please note that we have had instances of traders masquerading as private sellers. This is against the law. We therefore reserve the right the request a copy of the first 2 pages of your log book (V5C). By doing this we have a record of the address associated with the vehicle in case of complaints. Your ad will be placed on the site within 48 hours and removed after 1 calendar month. When it gets sold, please inform us. If you need to advertise for a second month, the cost is a further £25. See the “How to Pay” section below. 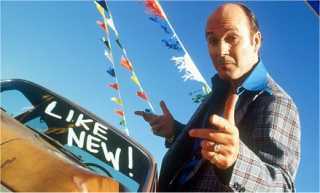 You may get approached by dealers wanting to buy your van. There’s no law against it, but some people find it annoying. So if you don’t want this to happen stipulate “no canvassers” in your wording. Traders are welcome to advertise here and the cost is £18 per month including VAT. You must supply in the covering email a full registered postal address including company number and VAT number. 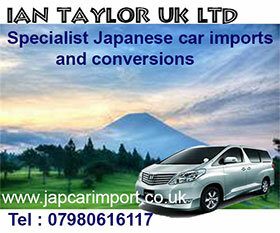 We only accept trade ads from VAT registered firms. There is also the option of taking out a “Premium” advert. This costs £62.50 plus VAT for 1 month and allows you to have a maximum of 6 photos and 500 words of text, as long as it fits on no more than 5 x A4 pages. You can see an example of a Premium Ad here. Upon receipt of your ad we will send you an invoice. Once payment is received we will place your advert. Instructions on how to pay will be on the invoice. However, if you have an item for sale under £100, don’t advertise it here. Go to to the Small Ads section on the Bongo Fury Forum instead. Same payment rules apply for these sections. Members ads are free, non-member ads are £25, trade ads are £18 per month. Traders are welcome to advertise in this section. The minimum advertising period is 3 months (£54 including VAT) or £180 for a full year. There are 4 ways you can pay. 2) Pay online using Nochex. Leave invoice number blank. 3) Credit/debit card by telephone. Phone 0114-2550836 between 9.30am and 4pm Mon-Thu.